Johns Hopkins, July 16, 2013 – People with pre-diabetes who lose roughly 10 percent of their body weight within six months of diagnosis dramatically reduce their risk of developing type 2 diabetes over the next three years, according to results of research led by Johns Hopkins scientists. The findings, investigators say, offer patients and physicians a guide to how short-term behavior change may affect long-term health. Preventing pre-diabetes from becoming full-blown diabetes is critical, Maruthur says. Uncontrolled diabetes — marked by excess sugar in the blood — can lead to eye, kidney and nerve damage, as well as cardiovascular disease. The new research suggests that if people with pre-diabetes don’t lose enough weight in those first months, physicians may want to consider more aggressive treatment, such as adding a medication to push blood sugar levels lower. A report on the research is published online today in the Journal of General Internal Medicine. Maruthur and her colleagues based their conclusions on analysis of data from the Diabetes Prevention Program (DPP), the largest diabetes prevention study in the United States. Overweight, hyperglycemic people were recruited between 1996 and 1999 and followed for an average of 3.2 years. More than 3,000 participants at 27 academic medical centers were assigned at random either to receive an intense lifestyle intervention, doses of the diabetes drug metformin designed to reduce blood glucose (sugar) levels, or a placebo. Maruthur and her colleagues searched the study information for links among short-term weight loss, reduction of blood glucose levels and impact on the longer-term risk of developing diabetes. Patients with pre-diabetes have blood sugar levels higher than normal but not yet high enough to be classified as type 2 diabetes. Although not all people with pre-diabetes develop full-blown type 2 disease, without intervention the risk of getting it within 10 years is substantially increased and damage to health may already have begun. The good news, Maruthur says, is that studies like hers show that the progression from pre-diabetes to type 2 diabetes is not inevitable and lifestyle changes can bring blood sugar levels back to normal. Participants in the lifestyle arm of the DPP were advised about better eating habits, directed to exercise 150 minutes a week, and given one-on-one counseling for the first six months and group counseling thereafter. Researchers found that those in the lifestyle intervention arm who lost 10 percent or more of their body weight had an 85 percent reduction in risk of developing diabetes within three years. 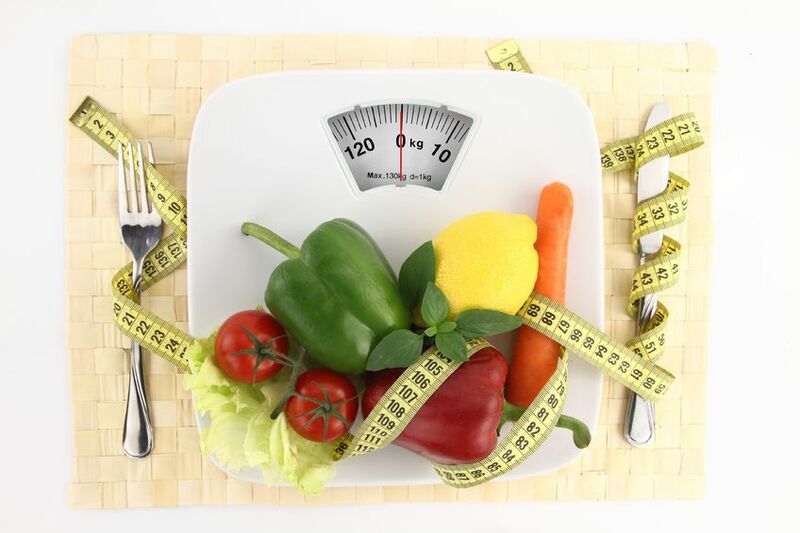 Even more moderate weight loss showed positive effects. Those who lost 5 to 7 percent of their body weight reduced their risk of developing diabetes by 54 percent three years later. Those who were given metformin, a drug that prevents the liver from producing too much glucose, did not lose significant amounts of weight on average. But those whose blood sugar levels were significantly lowered in six months of taking the medication saw their future risk of developing diabetes fall as well. The lowest risk, Maruthur says, occurred in patients who lost weight and also lowered the amount of glucose in their blood, as measured by a blood test taken after fasting. “I’m usually thrilled if a patient loses 3 to 5 percent of his or her body weight after six months, but based on this new knowledge, if patients aren’t losing more weight and if their glucose remains elevated, it might be time to escalate treatment by prescribing metformin,” she says. Maruthur says few doctors use metformin in patients with pre-diabetes, but given what her new study shows, it might make sense for them to consider prescribing the drug to patients who are unable or unwilling to lose substantial weight in the short term. She says doctors don’t effectively provide behavior modification programs, in part because insurance rarely covers them. The new research suggests just how valuable — and potentially cost-effective — such interventions could be, she says. Maruthur’s work is supported by a grant from the National Institutes of Health’s National Center for Research Resources (1KL2RR025006-01). Other Johns Hopkins researchers involved in the study include Frederick L. Brancati, M.D., M.H.S., and Jeanne M. Clark, M.D., M.P.H.